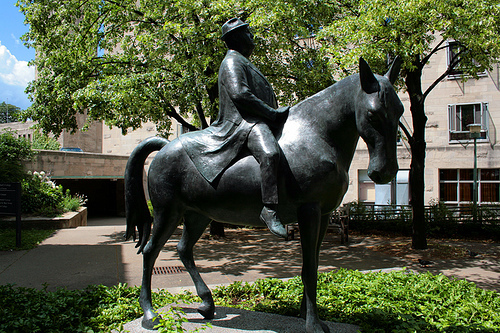 I used a quote yesterday from William McElcheran, describing him simply as a sculptor. I thought I should at least give him the benefit of showing some of his work here. You might recognize his work even though his name might draw a blank. 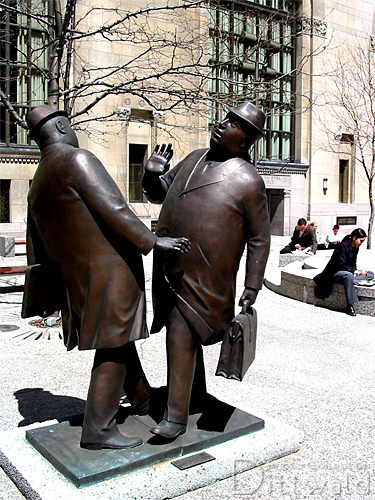 He described himself as “Canada’s least-known well-known artist” because few people know the artist behind his public sculptures that dot Toronto and many other Canadian cities. 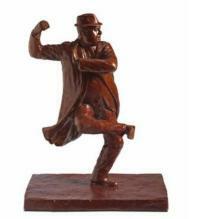 He is best known for The Businessman, a rotund and haplessly human character that is satirical but not bitingly so. McElcheran, who lived from 1927 until 1999, had an impressive work ethic from early on that allowed him to pursue all manners of creative endeavors. He was a talented draughtsman, painter and sculptor in many different materials as well as a highly accomplished architect with over 20 churches and public buildings to his credit. But it was his Businessman that carries his legacy forward. 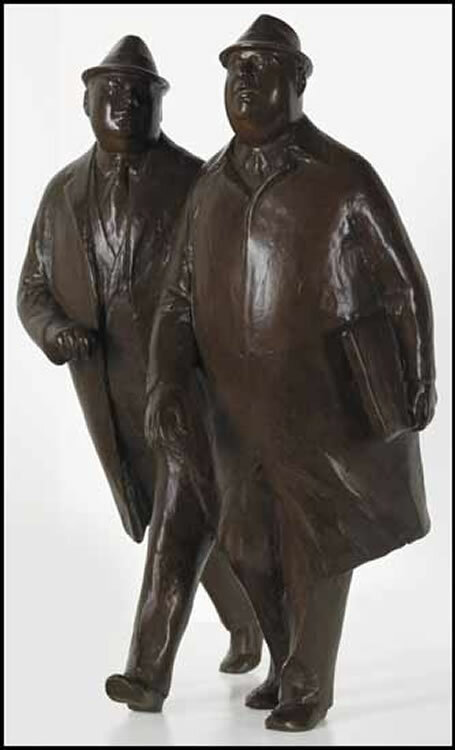 Beside the obvious humor in his depiction of the Businessman character, I think that they work so well as sculpture because of the lightness and grace of the figures themselves. There is a wonderful sense of balance in the figures that takes away any sense of heaviness which I think also takes away some of the ironical bite which makes them all the more palatable, especially for daily viewing in public spaces. So, there is a little something to put with name behind that quote. And what’s not to love about the girl in that fourth photo? I had to smile at that little bit of life imitating art. Interesting, too, that there are some women in the crowd in the last piece. 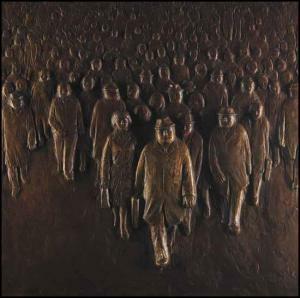 It is amazing to see the lightness in some of these works, especially the men avoiding one another on the sidewalk. It perfectly catches that feeling of being off-balance, and having to adjust on the fly. I hadn’t even noticed the girl in the fourth photo until you pointed her out. She really does fit in. Thanks for reminding me of “You gotta know the territory”– whenever I see that “The Music Man” is on, I tune in just to hear that song at its beginning. 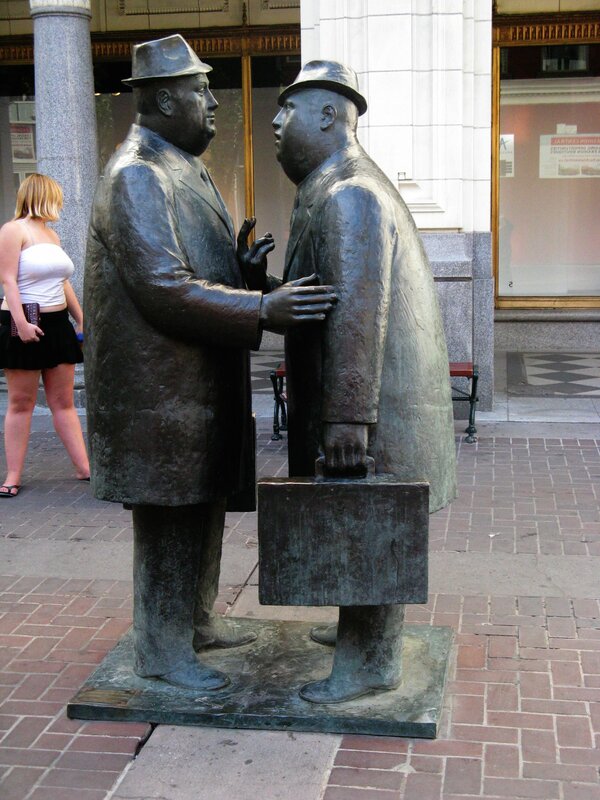 I have seen William McElcheran’s sculptures in Toronto, but never knew the name of the sculptor. Thanks for enlightening me. 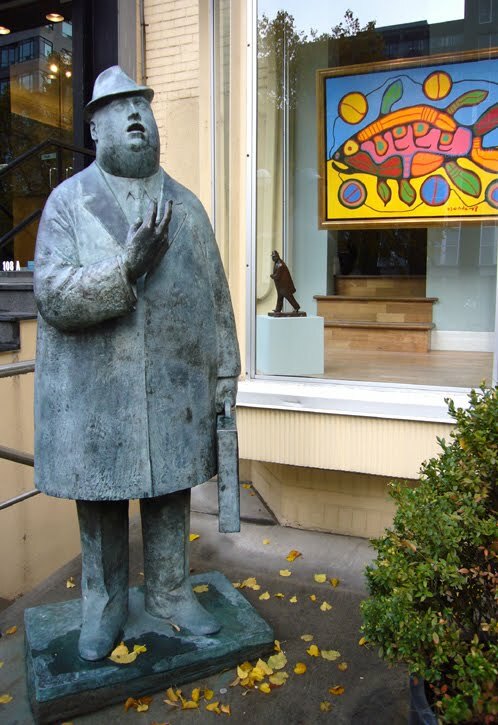 Do you know anything about him sculpting a bust of Christopher Ondaatje? It is on exhibit at the Art Gallery of Nova Scotia.